Some more fan art done up in Adobe Illustrator. 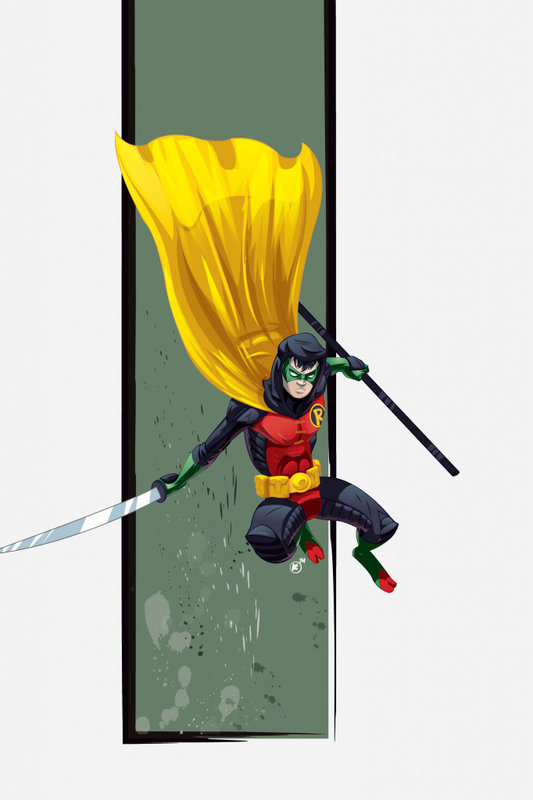 Batman’s faithful sidekick with an attitude, Damian Wayne aka Robin. This is a piece I did for Elle.com that unfortunately, became a dead project. 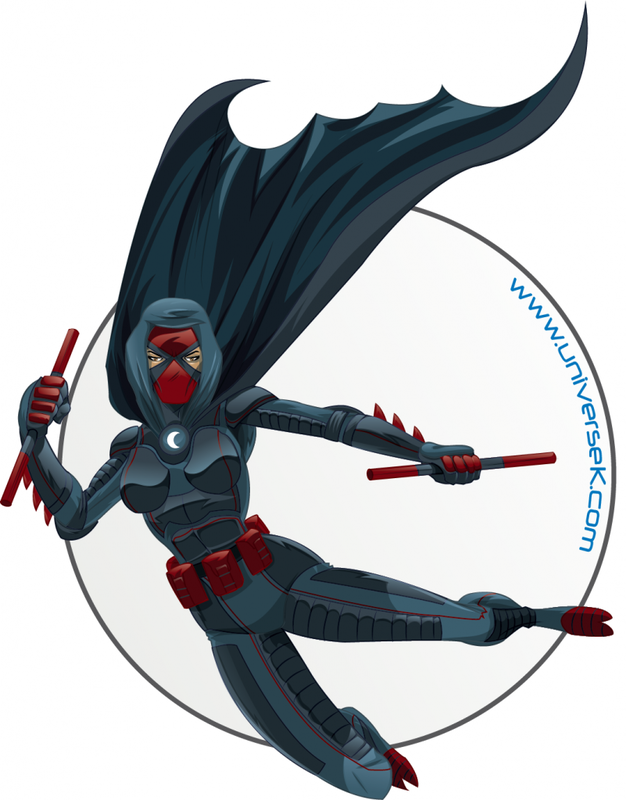 The project was to design a female superhero with powers or without and to write up a brief summary about the character. Thought I’d go ahead and post her here. Here is what I came up with. Rosa Torres was born into an affluent mexican family. Her parents were killed for supporting a political opponent of the notorious Toluca Drug Cartel. Based in Mexico City and supported by the inheritance her parents left her, Rosa donned a mask and the highest technical gear she could buy and became “Nocturna” the scourge of the cartel. With no super powers, Nocturna fights by using specialized weapons, martial arts and sheer will power to defeat the Toluca Drug Cartel and save the people of Mexico.